If you happen to live anywhere near central PA, you know how cold it has been lately. We have been pounded by northwesterly winds and freezing cold temps... With daytime highs in the 20s and nighttime lows in the single digits, most of our open water is now slushy or frozen--making things really tough to get out there and fish. Still, if it sounds like I'm complaining... I'm really not. I actually caught two of my best fish of the year in the last couple of weeks. I was only able to get out twice, and both trips were short... but they were productive. 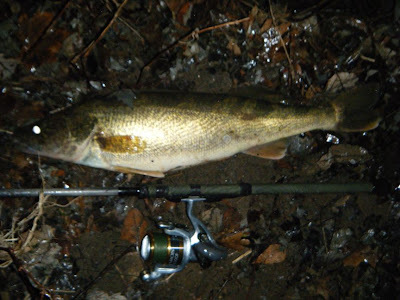 My first trip was a nighttime excursion for walleye--and believe it or not, I actually found a couple... 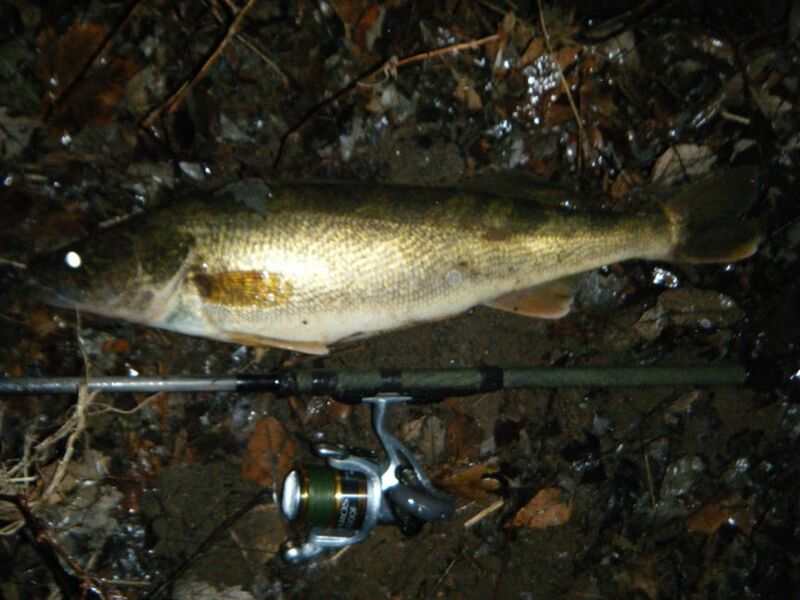 Conditions were pretty nasty and it was raining and freezing so photo opportunities were not great, but I pulled in two pretty walleyes in about an hour. One was just over 20 inches and the other measured 26 inches and was really fat--6lbs. + easily. My other trip was a quick little stop by the river following an afternoon of Christmas shopping... I fished a small open water section for a little over and hour just before dark--with the end result being two nice bass. 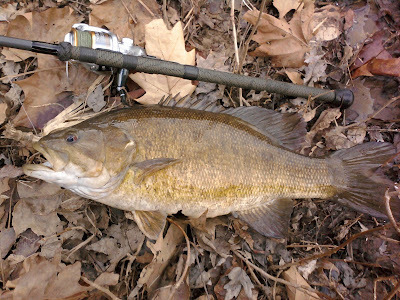 One bass in particular was especially nice--measuring 20 inches and very fat. 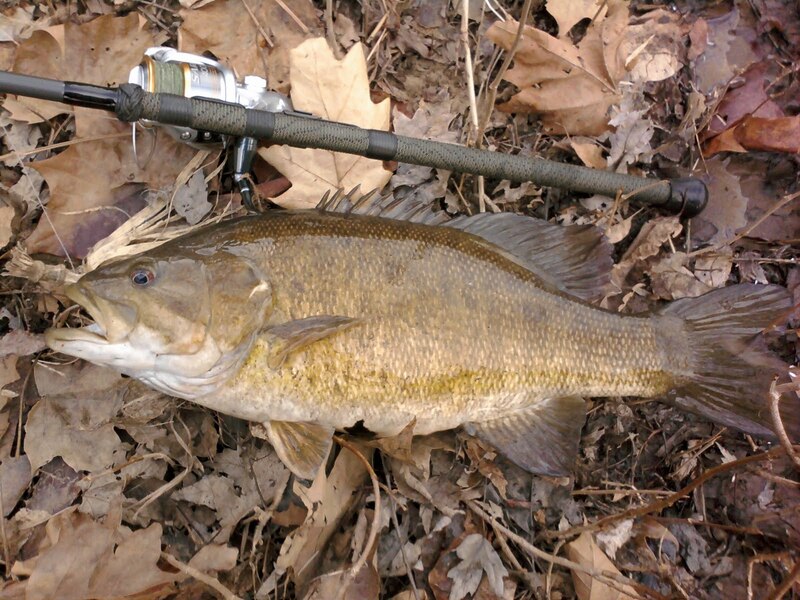 This winter's fishing has been pretty tough due to the cold so far, but the action has been quality not quantity... And I will take that any day of the week, at any time of the year.